3 Bedroom Detached House For Sale in Sutton for Guide Price £635,000. Guide Price 635,000-650,000. An outstanding detached period property built circa 1890 presented in excellent condition throughout with the benefit of off street parking, garage, a large beautiful established rear garden, offered to the market with vacant possesion and no ongoing chain. On entering the property you are greeted by a wide welcoming hallway. The living room features sash windows and a period fireplace, perfect for those cosy evenings in. The dinning room is located off the superb kitchen/breakfast room, both of which give access to the stunning rear garden. The downstairs accommodation is completed by a useful wet room decorated to a very high spec. Upstairs there are three double bedrooms and a luxurious family bathroom complete with bath and separate shower. The landing also gives access to a large boarded loft. Outside the property offers ample off street parking to the front and a large garage. To the rear the property boasts a lovely, mature, landscaped garden that provides a tranquil environment to enjoy with family and friends. 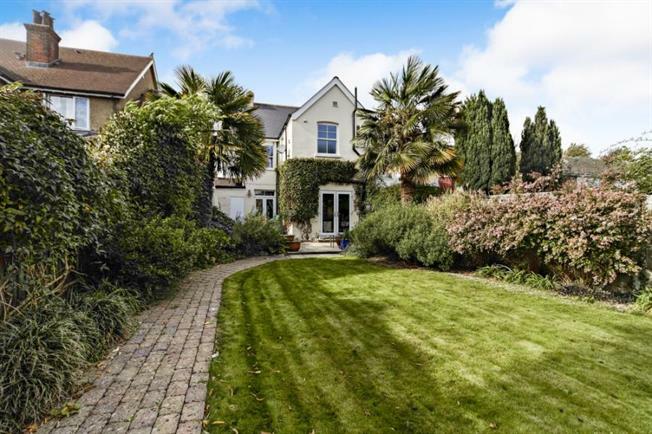 The property is situated with access to Sutton and ctown centre, mainline station's ( Carshalton and Sutton which both go into London) and good local schools.